Can the California Energy Commission Clean Up Its Small Wind Rebate Program? Will third-party consultant KEMA’s report on DyoCore take the state’s small wind to a new level? Greentech Media's recent investigative pieces identified a problem with California Energy Commission renewable energy that has now produced the filing of a complaint against small wind turbine maker DyoCore, Inc. 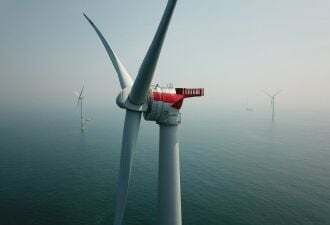 Alleged misrepresentations by the company of the energy-generating capacity of its small wind turbine, according to the CEC complaint, resulted in alleged misuses of the taxpayer-funded emerging renewables program (ERP). The CEC staff complaint requested that the DyoCore SolAir turbine be immediately removed from the Commission's list of ERP eligible equipment for “grossly overstating the turbine performance,” based on the analysis of a third-party energy testing and certification authority. Amy Morgan, a CEC Information Office spokesperson, characterized DyoCore’s alleged misrepresentations as “out of the ballpark,” beyond any accuracies found in other small turbine makers claims. The state suspended ERP in mid-March when allegations were raised that some companies were exploiting loopholes and trying to get rebates for turbines that do not produce the promised power or generate the promised electricity. Initiated in 1998 to drive growth of under-30-kilowatt solar, wind and fuel cell systems, ERP was the first such U.S. incentive. 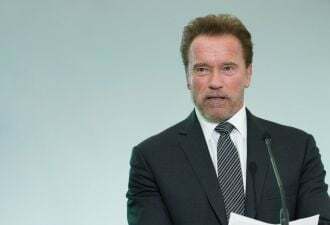 Though the Schwarzenegger administration developed bigger programs for solar, ERP’s $8.7 million in rebates had helped build 577 small systems in California, with a cumulative installed capacity of 3.6 megawatts, when questionable rates of applications for rebates began to raise questions. As reported by Greentech Media at the time, DyoCore was widely considered the poster child for the alledged abuses. 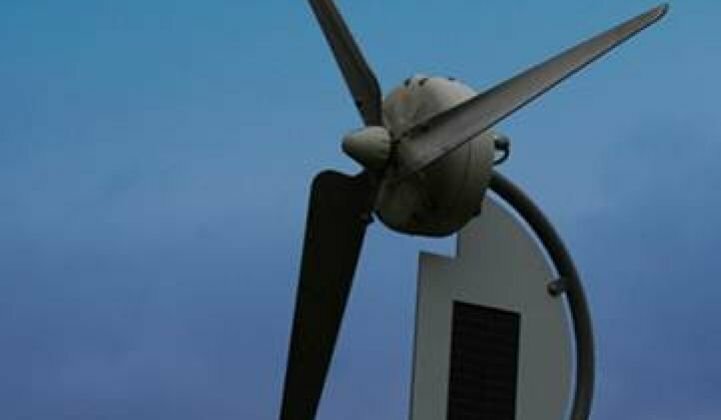 ERP had provided rebates and production incentives for 577 installed small wind systems since 1998 when, in early 2011, it got more than 1,000 rebate reservations for small wind systems using DyoCore turbines which, under program rules at the time, could qualify for as much as $28,000 in rebates, making the system essentially free to consumers. Bergey said at the time he was surprised the CEC let DyoCore’s claims stand. David Raine, CTO for DyoCore, told Greentech Media in March that the company’s performance claims were backed up by laboratory and field performance tests, referencing the work of Chuck Skinner, a field evaluation engineer with TUV America (who Raine said was with the National Renewable Energy Laboratory). When contacted, Skinner said TUV America had done no testing that would confirm anything but the electrical safety of the DyoCore turbine. The DyoCore SolAir remains listed as eligible for the suspended energy rebate program with a self-certified output of 1.6 kilowatts (kW) at 18 miles per hour. Multiple companies have alleged that this rated output is a gross over-statement of what the SolAir turbine can generate at that wind speed. In the wake of doubts raised about DyoCore, the CEC "engaged a third-party technical consultant, KEMA, who verified that DyoCore's claim is 7.5 times greater than theoretically possible," said Robert Oglesby, the CEC Executive Director. KEMA’s analysis was based on data on the SolAir turbine submitted to the CEC by DyoCore and available from DyoCore's website in support of the claim it produced a 1.6 kW power output at wind speeds of 18 miles per hour (MPH). The CEC's Morgan said the Commission continues to work on reforms for the rebate program, including the replacement of equipment makers' self-certification with a standardized third-party certification process.